The Armor Editor allows you to fully describe and create pieces of armors like pads, shoulder parts, that can be worn by the characters. The Armor editor can define bonuses, and effects (lights and particles, special rules) attached to this piece of armor or to a complete set. 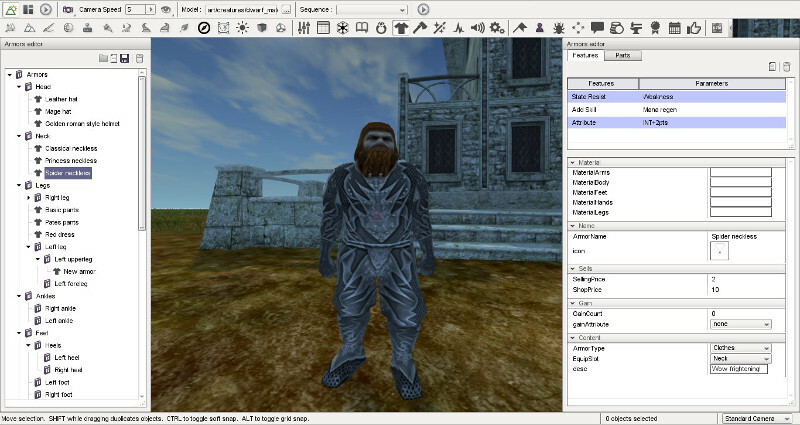 Armors can be mounted to the character mesh, or simply added to equipped items.